This exceptional studio throughout its area successfully combines minimalistic tradition and simplicity, with a contemporary look and materials that contribute to a stylish design. Jacuzzi studio for two exudes with peace and tranquility, due to the fact in which street is located, so that all the noise stays outside the walls. 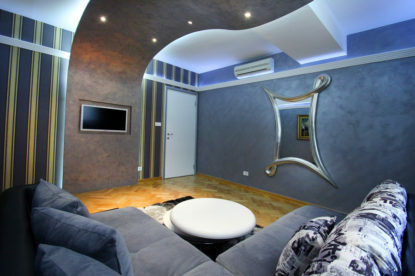 The studio is equipped with all the facilities that will contribute to feel very comfortable and at ease. Jacuzzi studio deserves its name, because of the particularly spacious bathroom and comfortable Jacuzzi tub for two. 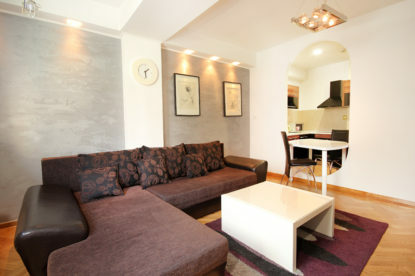 Room arrangement of this studio is ideal for relaxation and escape from the hectic life. There is a possibility of parking in the building, provided at the underground garage. 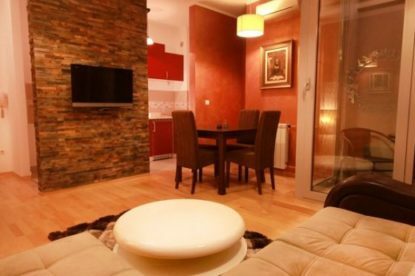 Downtown Pajsijeva Street is the ideal place to stay in Belgrade, whether you visit Belgrade for business or for vacation, because it is only 75 meters far from Terazije square, and it is extremely quiet. You cannot even imagine that you are in the very center of the city and enjoying some quiet time. 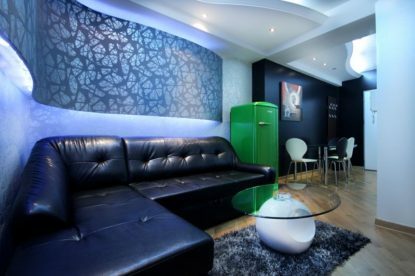 Since the studio is located at the city center, as soon as you step out of the suit you will be able to enjoy the urban life, in a variety of cafes and restaurants located nearby the Pajsijeva street.